Elegant simplicity and clarity are often the key to higher conversion rates on lead generation websites. 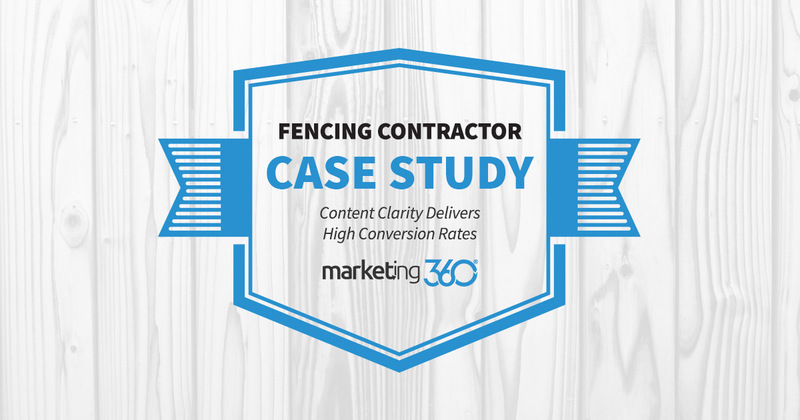 This Texas fencing contractor who markets with Marketing 360® offers solid proof of this concept. At Marketing 360®, we love website designs that are beautiful, simple, and clear. Why? Because these sites always convert better and generate more high-quality leads for our clients. They’re crystal clear about their service locations (can’t miss that this is a Texas business!). They have two call to actions (phone number and same day estimate). They have the types of service they offer built into the design. They offer trust elements with a testimonials page and Top Rated Local review badge. In just a few seconds, you can find pretty much all the information you need to get oriented and form an initial opinion of this business. There is no ambiguity in the content at all, which is actually rare on business websites. 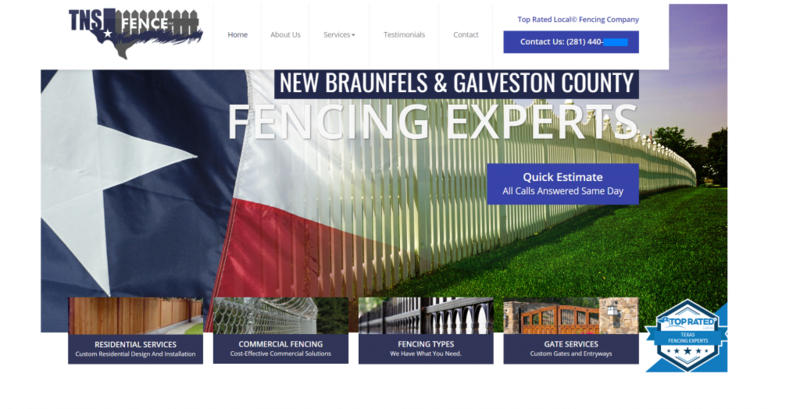 When people need a fencing contractor in this area, they find this website. They don’t need to spend much time there to realize this is a professional, trustworthy business that offers what they need. That’s how you get higher conversion rates and more leads. Simple as that. Find top rated fencing contractors near me.